Pennsylvanians have never shied away from hard work, pursuing education opportunity, and seeking out training. Through this initiative, Pennsylvania will have the most prepared and talented workforce in the country. We’re not working harder; we’re working smarter. PAsmart is focused on preparing Pennsylvania students and workers for good-paying jobs in high-growth industries. Many PAsmart careers are in the science, technology, engineering, and mathematics (STEM) and trades fields. 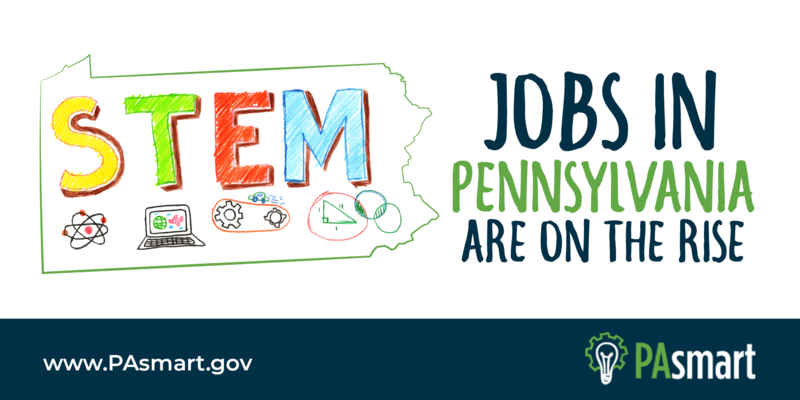 Through PAsmart, Pennsylvania has become a national leader in computer science and STEM education. Common PAsmart careers in the STEM field include: computer scientists, engineers, nurses, and software developers. Pennsylvania is also committed to expanding job training by doubling the number of apprentices in the commonwealth by 2025. 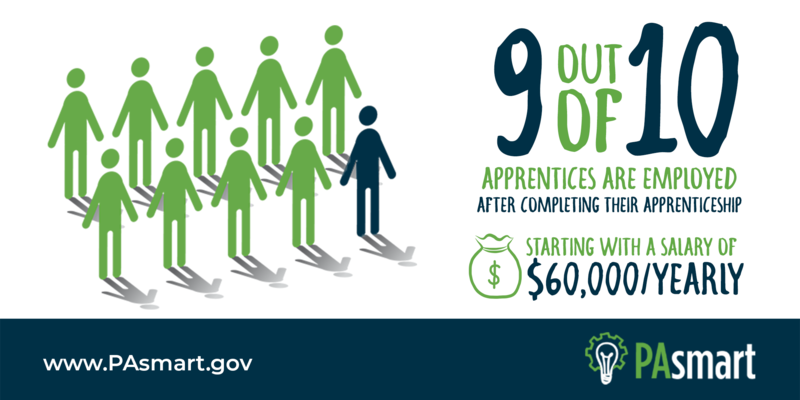 Apprenticeships give Pennsylvanians the opportunity to gain the trade skills they need while earning a paycheck. Many PAsmart careers in the trades include: welders, machinists, electricians, and carpenters. 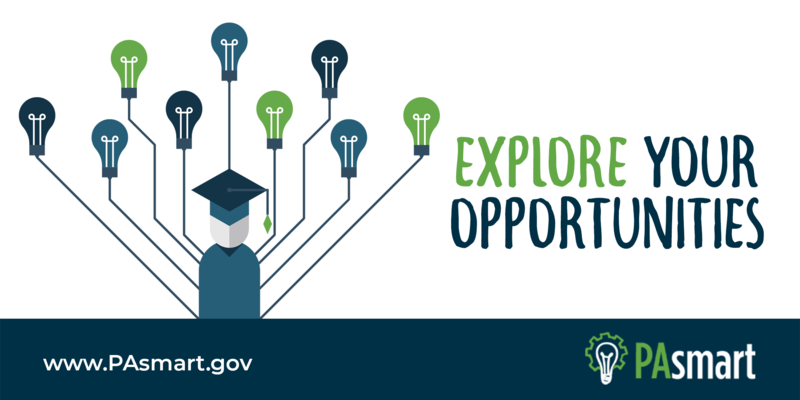 When deciding what comes next, Pennsylvania has several resources available for guiding you through the process — from choosing a college and program of study to finding assistance to pay for your degree. A college degree isn’t the only path to success. Apprenticeships give you the life-changing opportunity to earn a living while you learn the new skills you need. Apprenticeships are available in many industries across Pennsylvania. Whether you’re a student, a job seeker, currently employed or looking to rejoin the workforce, we can help. A PAsmart career offer the opportunity for work today, while gaining the skills of tomorrow. You pick the way you grow, whether it be training, an apprenticeship or further education.